Narayen has shepherded several large projects for Adobe, including the $1.8 billion acquisition of Omniture and the $3.4 billion acquisition of Macromedia. When he isn't buying other companies, and otherwise running Adobe, he works on integrating the company's trademark Flash technology into mobile platforms and dealing with the rise of the HTML5 standard. Before joining Adobe in 1998, Narayen was co-founder of Pictra, Inc., an early pioneer of digital photo sharing over the Internet. Prior to that, he served as director of desktop and collaboration products at Silicon Graphics, Inc. and held various senior management positions at Apple Computer, Inc., which is kind of ironic, given the ugly public feuding between the two companies of late. He holds a bachelor's degree in electronics engineering from Osmania University in India, a master's degree in computer science from Bowling Green State University and an MBA from the Haas School of Business. Adobe CTO Kevin Lynch is leaving the company to join Apple. Here’s Adobe CEO Shantanu Narayen talking in June about making sure Flash worked well on non-Apple mobile devices. Have times changed? Adobe Shantanu Narayen did a very funny video for the ninth D: All Things Digital conference about how he needed to become a flashier speaker. Get it? For those who did not, Flash is the name of one of the software company’s highest profile offerings and the one most under siege by fast-changing trends. Before Shantanu Narayen tangled with Walt Mossberg at the D9 conference, the Adobe CEO tried to warm up the audience with a video. The conceit: Narayen is a little bit charisma-challenged, so his staff enlists professional help to prep him for the session. Adobe’s Shantanu Narayen debunked a myth today at D that there’s an ongoing feud between it and Apple over running Flash on iOS. Still, he didn’t hesitate downplaying Apple’s early lead in the tablet market, saying over the long-term, he is putting his money on Android. Shantanu Narayen is asked about Adobe’s tiff with Apple CEO Steve Jobs over running Flash on the iPad and iPhone. He says its over. What’s the future of Flash? 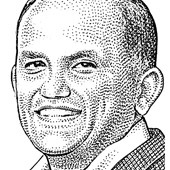 Live from the D Conference, Adobe’s Shantanu Narayen will discuss the impact of HTML5, tablets and other emerging technologies on some of the company’s biggest cash cows. Adobe Systems Inc.’s earnings rose 84 percent but the software maker warned of weakness in the current quarter as a result of business uncertainty in Japan. Shares fell four percent in trading Wednesday. The prospect of Adobe being acquired by Microsoft may get tech bloggers and investors all worked up, but it's not going to happen, says Adobe CEO Shantanu Narayen. The Redmond behemoth is a good buddy, said Narayen, but just one of many, and Adobe has no intention of getting hitched. Adobe CEO on Steve Jobs' "Thought on Flash"
Lazy? What I mean is a group of three people can write software that millions can use and enjoy. Can three people answer the phone a million times a day? Find the leverage in the world, so you can be more lazy!